Swiss watchmaker MB&F has this week unveiled a new watch it has created in the form of the Legacy Machine FlyingT available in three different configurations. The Black Lacquer Edition, Which is fitted with168 stones weighing 1.7ct is priced at $115,000. While the Paved Diamonds Edition has 558 stones weighing 3.5ct is priced at $145,000, and finally the Baguette Diamonds Edition with 294 diamonds weighing 8.2ct is priced at an eye watering $315,000. 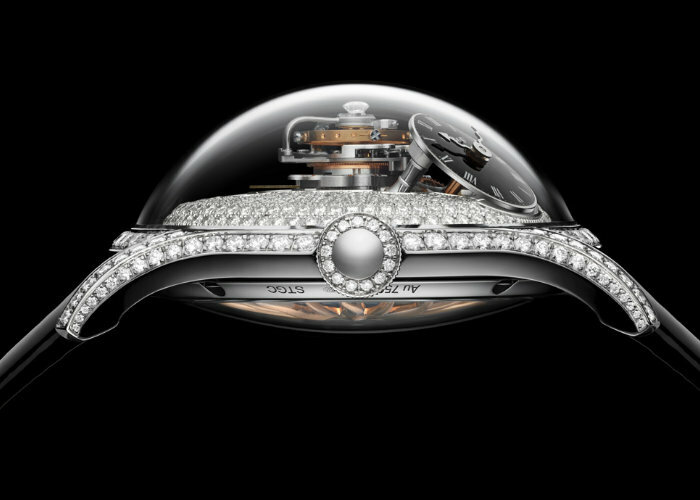 Check out the video below to learn more about the ladies watch design, engineering and mechanism. “An asymmetric ventricular opening in the dial plate frames the heart of the LM FlyingT engine – a cinematic flying tourbillon that beats at a serene rate of 2.5Hz (18,000vph). The tourbillon projects high above the rest of the engine, a kinetic, dynamic column that stops just short of the apex of the sapphire crystal dome. 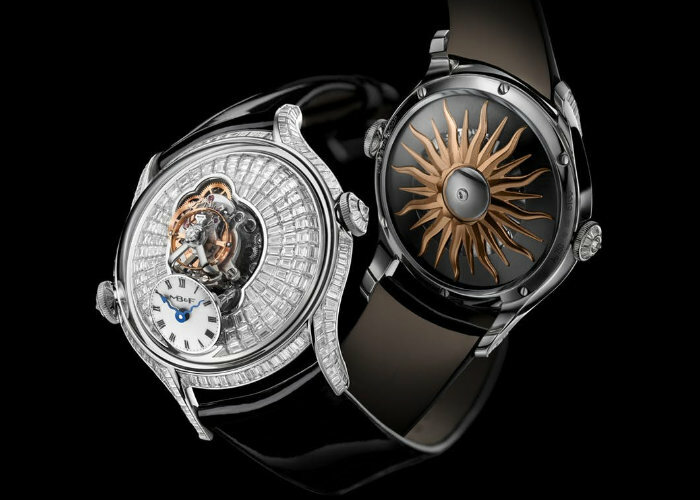 Affixed to the top of the upper tourbillon cage is a single large diamond that rotates simultaneously with the flying tourbillon, emitting the fiery brilliance of the very best quality stones.